My school has one annual holiday tradition- each year we do a school-wide “Polar Express Day”. We all wear our PJ’s, watch the movie in our classrooms, and make hot chocolate. Previously, we always read the book and do a few activities. 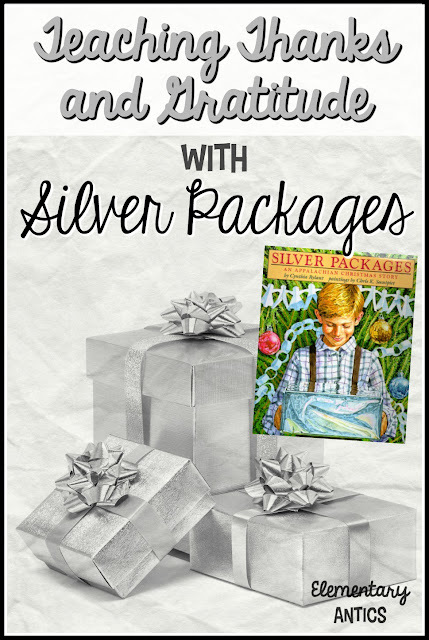 In addition, I absolutely love to share one of my all time favorite holiday books with my class, Silver Packages by Cynthia Rylant. It is a truly touching story and I love that it has such a great message, which I think is important to discuss this time of year. The illustrations by Chris Soentpiet are also beautiful. Last year I found this great idea from Sunny Days in Second Grade and I loved using it. I plan on doing this each year from now on with my kiddos. After reading the story, we gather together and have a little class discussion on what it means to “owe a debt” like the older man in the story felt. We talk about how we are thankful for all the stuff people give us, but also for what people do for us- everyday and at special times. We discuss gratitude and what that means. I have my kiddos turn and talk to their partners about some people in their life that they feel gratitude towards and why they want to thank them. I then have them make a short list in their writing journals. They narrow it down to one person and then write that special person a letter sharing their thanks and gratitude. We share our letters with a partner and they help each other edit and revise if needed. 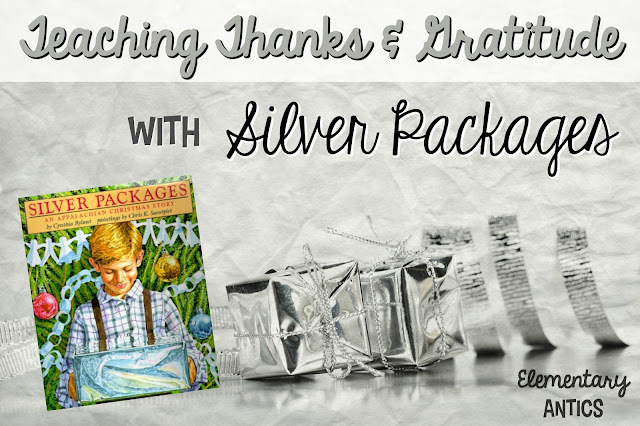 Then, after the letters are nicely published they fold up their letter and wrap it in silver paper and a bow to give. A silver package to give to the special recipient on Christmas or whenever they feel is best. I know these were so special when we did them last year. It was so neat reading some of the letters the kids wrote and how they were understanding true gratitude. 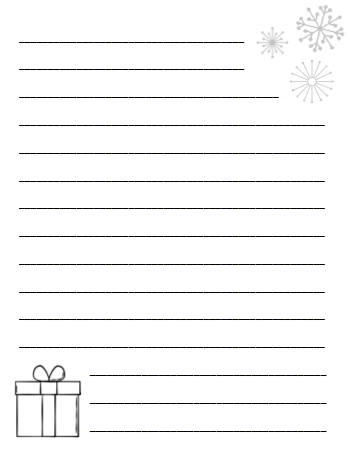 Here is a simple winter paper template if you want to use this for letters for your class this year after you read Silver Packages. Hope you have a wonderful holiday season in your classroom this year!